The history of photojournalism is long and fascinating. Since the camera was invented, photographers have been busy documenting the world around them, and it wasn't long before an early form of photojournalism began to take shape. In the years since, photojournalists have been responsible for documenting and sharing history's most important stories with the public. Because of the powerful effects that are created when striking images are combined with strong words, photojournalism has not only played the role of documenting history, but has also been responsible for shaping it. To put it simply, photojournalism is a type of journalism that combines photographs with news stories. These stories can be disseminated through any type of media including newspapers, magazines, television, and the Internet. In fact, in the contemporary world, it is hard to conceive of any type of journalism that is not photojournalism, because consumers of news have become accustomed to expecting some sort of image to accompany an article or television story. As the world becomes increasingly visual, with the advent of new handheld devices that stream news stories to the public the instant they occur, this trend will surely increase. In the United States, photojournalism received a boost from one of Franklin Delano Roosevelt's New Deal programs. The Farm Security Administration was a department designed to address problems in agriculture and the issue of rural poverty, and a small photographic section was created within the administration. Initially, the purpose of the photographs was to provide public relations material for the Farm Security Administration, but the images captured by staff photographers have gone down in history as some of the best documentary photos in the history of American photojournalism. The main difference between photojournalism and photography deals with how the image is treated by the photographer. For the photographer who works in fashion or advertising, the client always has a say in which image gets used and how the images are constructed. The photographer in these types of situations has a responsibility to his or her client to produce the type of image that the client is looking for. Photojournalists, however, adhere to the ethics of the field of journalism, which state that the photographer's responsibility lies in capturing the images of a story in the most accurate manner possible and reporting those images to the public. Therefore, photojournalists carry the burden of journalistic integrity. One of the most exciting subcultures of photojournalism that has appeared in recent years is citizen journalism. 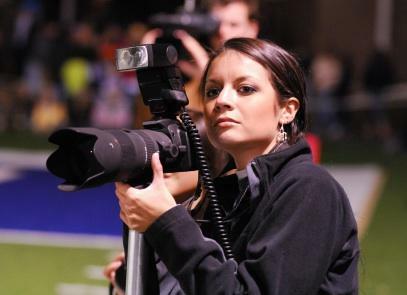 With the technological advances of digital cameras, laptops, and cell phones that are equipped with cameras, millions of amateur photojournalists are now walking the streets. In fact, major news outlets like CNN have taken to incorporating the photos taken by these citizen journalists when major news stories break. As this technologically advanced citizenry continues to grow in size, there will be increasing opportunities for photojournalism of this sort to make its contribution to the field, and the history of photojournalism will continue to evolve in new and exciting ways.